Today I'd like to show you how to make your own logo for free. As you progress with your new website creation, your idea of the brand image should be shaping up too. It's time to design a logo for the website. You don't have to have one yet if you don't think you're ready, but a logo in the header will certainly add an extra personality to your site. You can of course pay a professional designer to have it done. You'll find a lot of ads in online marketplace such as Fiverr. It will cost you as little as literally $5, unless you want to keep the original editable file, in which case could cost you as much as $100. But you're building your site all by yourself, writing your articles in your own words, adding images that you've chosen. Why would you ask someone else to design your logo? And what if the outcome is not what you've been looking for? A logo, really is a simple​ image or shape, with or without a text. I'm not a professional designer, not particularly proud of my designing skill, and I can't even draw. So if I can do it, anybody can! OnlineLogoMaker.com is easy to use, it stocks many decent vector ﻿﻿images, and is absolutely free. Play around with it, and you'll soon work it out (I hope), but I'll quickly show you how you use it. Here's the URL. The list of the images (symbols) is categorised. Choose your favourite symbol. Then choose a text. Adjust the positioning and size proportion. And that's done! When you're happy with the logo, you can download it instantly. The logo can be downloaded in PNG format for 500px wide for free. There is a paid option however - you will get to keep it in SVG Vector format as well as in a bigger pixel format for the prices of around $20. PNG means its background is transparent, so you can insert it in your site regardless to the current background colour, like the images on the right. And of course, you may not like any of the symbols in the list and want to use your own image, or find an image elsewhere. Online Logo Maker allows you to upload it. That's including a jpeg file, so you can use your own photographic image, though it will inevitably be a rectangle shape. So alternatively, you can create your logo by the following steps. Add a text to complete the logo. I'm actually going to try it now. 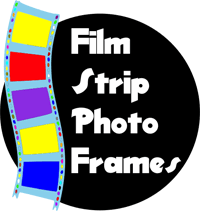 I've found this vector image of a film strip in svgimages.com. As you can see - you can actually choose a single colour (not just black/grey but any colour), or random colours like this - it randomly chooses multiple colours as you click repeatedly. Oh, funky, I quite like that! But I'll just use the black & white image for now. Download it as SVG, and open it in Inkscape. 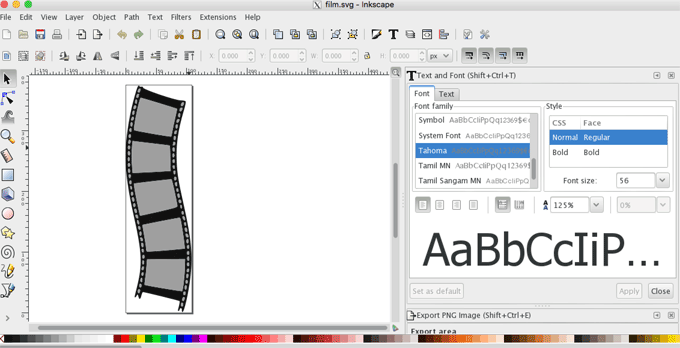 Inkscape's interface is pretty outdated. But it's free, I wouldn't complain! Now I'll add a text. I just made it up and added Art Deco-ish text. All I have to do now is to export it as png file. Go to File menu > Export PNG Image. 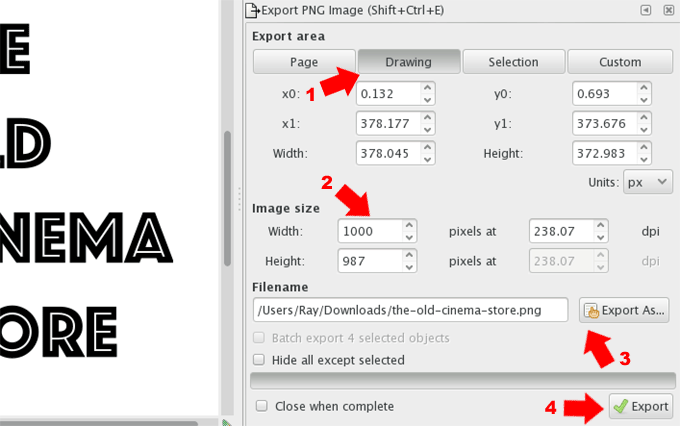 Choose Image size - I don't need such a large image but I've chosen 1,000px. Here we are, a logo is created. And it didn't take me 10 minutes! 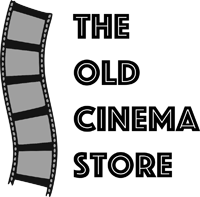 The coloured version of film strip - using Inkscape, I just added a black circle behind it, changed the font style, changed it to white. These are just examples and I just wanted to show you how easy it is to make your own logo free. I hope you've found these methods useful to make a website logo free. Please don't hesitate to ask me any question - but remember I'm not a professional designer, don't expect a super-sophisticated cutting-edge answer from me!